Given Suppose the values of the array a BEFORE your code executed were: 15,7,22,4. Write a method, getSecondLine, that is passed a String argument and that returns the second line, without its newline character. 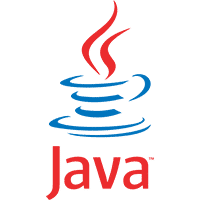 LANGUAGE: Java CHALLENGE: Write a method, getSecondLine, that is passed a String argument and that returns the second line, without its newline character. (Recall that lines are terminated with the “\n” character .) Assume that the argument contains at least two complete, newline-terminated lines. Write a method, getFirstLine, that is passed a String argument and that returns the first line. Write a method, makeEmailAddress, that is passed two String arguments: the first is a username, like “leadbelly” and the second is a domain name, like “blues.com”. Write a method, makeSubjectLine, that gets a String argument and returns the same String but with “Subject: ” in front of it. So if the argument is “Are you going to the show?” the method returns “Subject: Are you going to the show?”.